According to the National Diabetes Report, 21 million people in America are diagnosed with diabetes and an additional 8 million have diabetes and are not yet diagnosed. Population predictions suggest that by the year 2025 we could face a 57% increase of Type II diabetes in North America alone. Type II diabetes results from environmental influences, excess weight, and higher sugar consumption, when an underlying genetic disposition is present. The current 30 million people with diabetes are at higher risk for hearing loss. A recent American study determined they are twice as likely to suffer from a hearing loss compared to the average population. There have been prior studies that confirmed the correlation between diabetes and hearing loss. This current study distinguished the variance in the different age groups. People who have diabetes, whether diagnosed or not, have a higher than average likelihood of having a bi-lateral (both ears) hearing loss. They will have a gradual onset mainly affecting higher frequencies, similar to age related hearing loss. People with diabetes in their 30â€™s and 40â€™s had a much higher likelihood of suffering from a hearing loss compared to those in their 70â€™s and 80â€™s. The research implies that diabetes ages hearing faster. 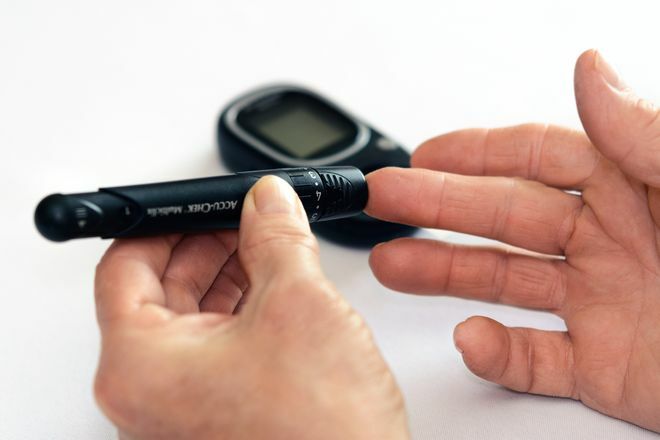 Based on the researchers findings, they identified hearing loss as a risk factor of diabetes. Previously they considered hearing loss a possible complication of diabetes but not a clear risk factor. The research suggests that hearing care should be added as standard medical care for diabetes care. This would expand the current annual medical care for diabetic people which already includes: cardiologist, podiatrist and ophthalmologist.